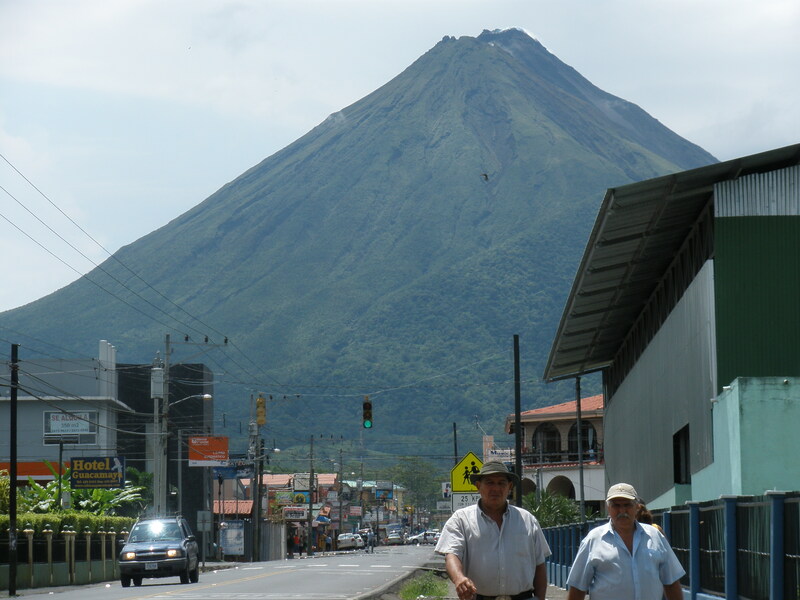 Our first day in La Fortuna, Kelly and I got our bearings around the town and booked our night trip to Volcan Arenal (Costa Rica’s most active volcano) and to take a dip in the ‘free’ hot springs. 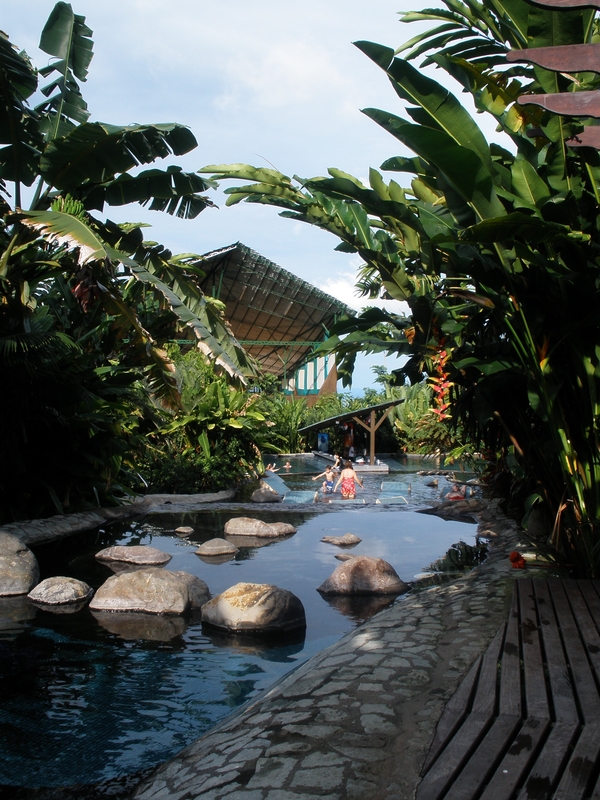 La Fortuna has a handful of very expensive resorts that have natural hot spring pools surrounded by lush landscaped gardens…tickets to these resorts run anywhere from $20 – $60 per person. Since we are trying to do things on the cheap, Gringo Pete’s package of a night trip to the volcano, plus a visit to FREE hot springs for $17 per person sounded right up our alley. Kelly and I and our new friends all signed up. The van picked us up around 5:30 p.m. and we headed out on our evening adventure. Our guide parked on the side of the road a few miles outside of town and led us down under a roadway bridge to the ‘free’ hot springs. We quickly realized why they were free…it was basically water running off into the river from the fancy resort next door. We all waded around in complete darkness on the side of the road under some random bridge. It was pretty ghetto (and funny), although I’m sure it was much nicer in the daylight. We then drove several miles to the Arenal Volcano National Park and walked across an extremely rickety bridge to a viewing area with a covered roof. It was difficult to see the volcano in the dark and there was cloud cover around the top, but we had high hopes for seeing lava. It also helped that our guide brought a bottle of rum so that we could have cocktails while we waited. 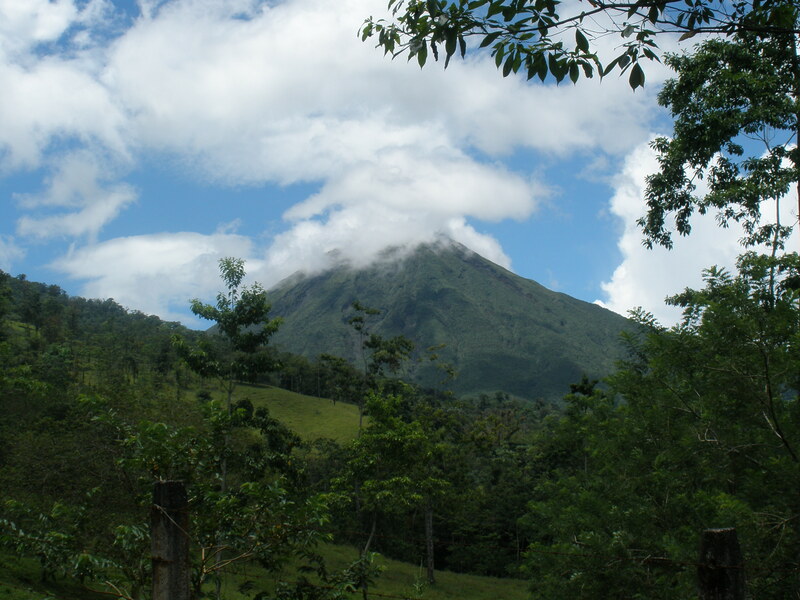 Volcan Arenal erupts constantly, but had a massive explosion that basically wiped out the surrounding area as recently as 1968. It was crazy to imagine that at any moment, the same thing could happen again…we were nervous and excited to be so close to an active volcano! After about 20 minutes, we heard a loud rumbling and saw a bright orange stream of lava creeping down the mountain…it was pretty amazing. The sound of it erupting is what really fascinated me. We were lucky to see lava three more times that evening before stumbling back to our van and heading to the hostel. After a sweaty night’s sleep (there is no AC in most places here and our room was the size of a closet with no ventilation. 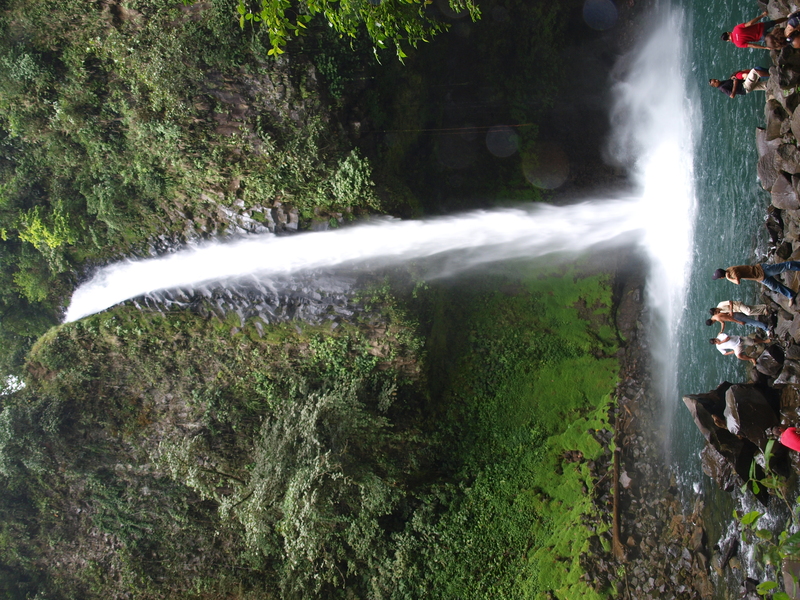 On the other hand, it was only $5 per night), Kelly and I had a fantastic breakfast of gallo pinto (Costa Rica’s signature dish of rice and beans) and headed out to see La Catarata de La Fortuna (the Fortuna Waterfall). We had a steep climb down the side of a mountain, but it was worth it once we got down to the falls. It was absolutely beautiful and Kelly and I spent some time taking photos and just enjoying the scenery around us. We should have brought our bathing suits and swam, but were idiots and forgot them. (Sorry for the sideways view of the pic above, but it took about 10 minutes to upload and I’m not going to go through that again). We headed back to our hostel to hang out for a bit and then caught our shuttle to one of the fancy resorts, the Baldi Hot Springs. We just had to see what all the fuss was about. Tabacon is the more well known hot spring resort in Costa Rica with amazing views of the volcano, but entry here is $60 per person! Baldi looked pretty nice from the tourist brochures AND it was only $24, including dinner. Those sixty dollar hot spring pools at Tabacon must be encrusted with diamonds, because the less expensive Baldi was awesome. There are 25 hot spring pools of varying temperatures (one as hot as 150 degrees! ), 3 wet bars, 3 super fun waterslides, and beautiful gardens and trails. The only thing that we were a little disappointed in was the price of the drinks…$10 for a cocktail and $6 for a beer, which is totally outrageous, but that’s the price you pay at a resort. 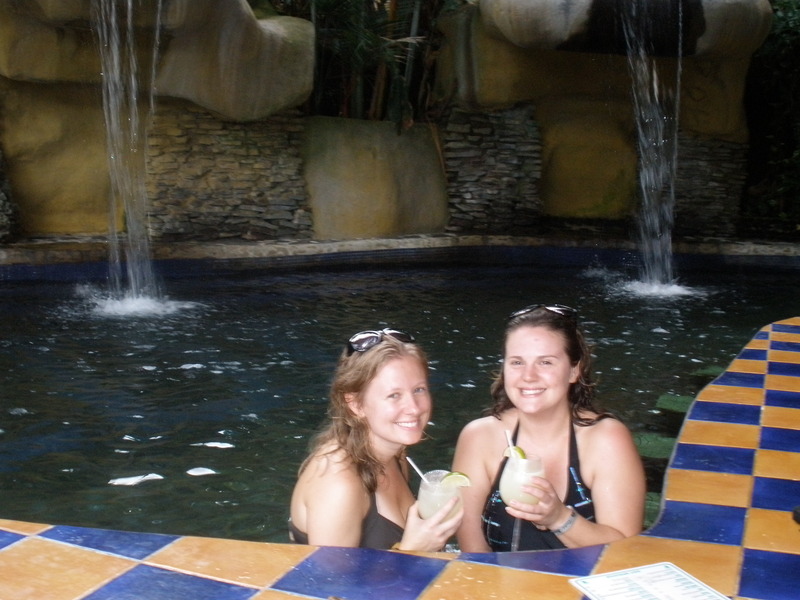 We spent all afternoon checking out the different pools, walking around the gardens, getting beat up on one of the fastest waterslides I’ve ever slid down, and splurged on ONE cocktail at the wet bar. We even got to catch a little bit of the UT game on tv while lounging in the pool! We headed back to Gringo Pete’s around seven and took it easy since we had to catch a van-boat-van to Monteverde the next morning. Kelly and I loved La Fortuna, but were glad to be moving on, if anything to get out of the tiny sweaty room at the hostel. 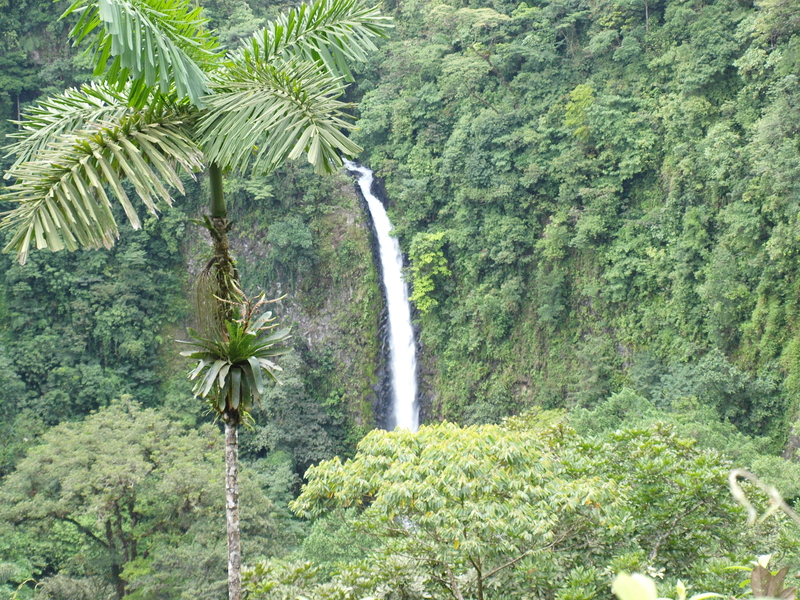 Kelly will soon be posting about our first couple of days in Monteverde, so stay tuned. Also, I’m trying to upload our photos to Flickr, but it is excruciatingly slow and takes literally HOURS to upload one batch. Please be patient and we hope to have some up soon! Can’t wait to see more and hear about Monteverde! Are you guys headed to Tamarindo at all? I dont think we are going to make it to Tamarindo. Yesenia is going to Dominical on the 5th for 4 days, so we are going to meet up with her and Andres and go there instead. 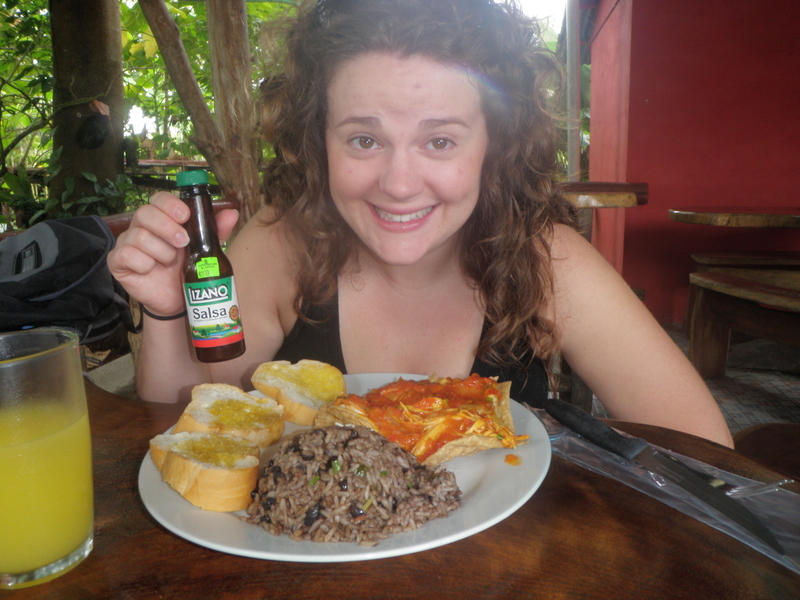 Its all the way on the other side of the country, so it doesnt look like we´ll have time to make it up to Tamarindo. Give the kiddos a smooch for me! Sounds like you ladies are having an amazing time! I can’t wait to read more. I want to see lava!! We tried to take pics, but it was too dark and nothing showed up on the camera. It will be BURNED into our memories forever though.